Well then, the International Skyrunning Federation (ISF) have just published their 2013 calendar. There’s a bunch of new stuff in there, including a bit of an overhaul of the series format. A lot of people have asked me what I reckon, so here goes.. 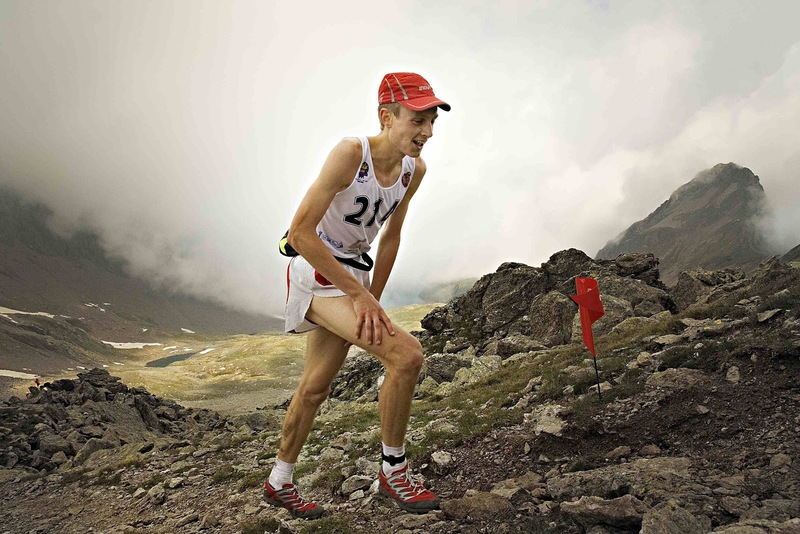 Passing into 2013 the Skyrunner World Series (SWS) removes the "overall" WORLD SERIES category that we saw this year (mixing up the distances and formats) and breaks things up, distinguishing three distinct disciplines under three separate banners. There’s a vertical kilometre series, appropriately named VERTICAL, an ultra series, ULTRA, and a mid-distance series, called SKY. The SKY series is evidently aiming to stick to Skyrunning’s (initially Italian) roots, as the races err towards the original, classic, marathon-distance format of running up, along and back down mountains. In this series you’re pretty much guaranteed a view! The original Skyrunning concept was about ascending and descending mountainous terrain, at altitude. And that's what it would seem that the 2013 SKY series is aiming to create, but on an international level, rather than just within Italy (1.). That said, I can’t really speak from experience of what the 2013 series races will be like, having only previously competed in one of the five making up next year's calendar. And that’s a great motivation for me to return to this original format, which I’ve not fully completed since my 4th place back in 2007, the year which included my first big win in an absolute classic of Italian Skyrunning, the Sentiero 4 Luglio – I’d like to see that one back in the circuit again! Altitude, ropes, chains, rocks and good views. That’s my definition of Skyrunning! Next year then, 2013, I’m looking forward to returning to re-live the rocks, mud and ambience of Zegama which kicks things off in the spring. After that it's eastwards to Alps and the Mont Blanc Marathon - a French classic. From what people say it’s a very runnable course, but has magnificent views and again, atmosphere. I’ll be missing Pikes Peak for sure. It’s certainly a big race, with big history, but there’s no way you can nip over to the States and be competitive running up to 4300m without beforehand spending some serious time out there (or at least high up above sea level). The year my Dad came 2nd (1982) he’d spent six weeks in the Rockies getting used to the thin air. I’m not a teacher, so that’s not an option for me, unfortunately. Anyhow, I’ve heard it said that there’s a heck of a lot of switchbacks.... Returning to the SKY series, I know next to nothing about the final two new-entry events, the Matterhorn Ultraks and the Xtreme in Limone. The Matterhorn seems to have a profile of ups and downs on well-trodden footpaths, probably fairly similar to the Mt Blanc Marathon, but we’ll find out and confirm in August. Lastly, the SKY series final is on the edge of lake Garda. It’s in October, so understandably it keeps relatively low. 3000+m in the Alps in late autumn means snow and ski rather than rock and run. So, with this being a fairly short (23km) Sky race, climbing to just 1600m (albeit with a fair chunk of overall elevation gain, 2000m) runners will need to keep some speed in their legs to deal with a relatively short late-season burn out. I’m not going to talk much about the VERTICAL series. It speaks for itself. Five races in five countries, each of which go uphill for 1000m. You can then walk down or sometimes grab a cable car. If you're lucky you'll get a beer in a mountain-top restaurant at the top. It’s a bit of a random challenge really, but I like the concept. There’s no doubt that it’s one of the purest tests of fitness out there. 30 to 40 (or so...) minutes of burning your lungs and quads. Just watch out for the chap in front of you – he may inadvertently stick a pole in your eye. So, what do we think about the ULTRA series then? Well, there isn’t half a mix of stuff in there! This is new domain for the ISF, a format introduced last year and being expanded upon in 2013. They’re following the trend, hooking onto the global tendency in trail-type running towards longer and further, more kilometres, more hours, whilst trying not too loose their heritage, too much... Each of the first three races of the ULTRA series are mountainous European races. Whereas the final two are American-style. Now, before I go any further, you may disagree with what I say next, in which case what you could do is just put a “not” into my sentences every now and again, and that way we’ll all be singing from the same hymn sheet. The ULTRA series then, as I was saying, it has a right proper variety of stuff in it next year. If you’re used to shorter racing then you’ll view all these races as long, but upon closer inspection, we have a vast range of disciplines in the mix. Transvulcania - not too long, not too short, big climbs, some sections of semi-technical running, - this 83km race kind of sits in the middle. Next up, Andorra. Well then, this is one seriously long day out, right? 170km! From what I’ve heard it’s also pretty tough going underfoot. It’s going to have some brilliant scenery for sure, but at the same time it’s the sort of race that probably leaves you walking like a penguin for some time afterwards. Who will be on the start line in the Pyrenees in June I do wonder? Next up, the Ice Trail Tarentaise. It looks like a cracker, goes high - glaciers and proper big mountains. 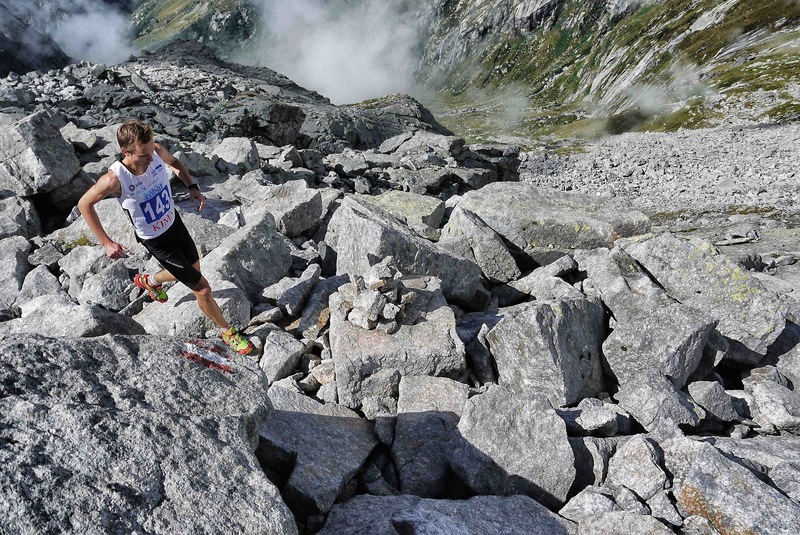 The ITT appeals to fans of mountaineering and is definitely erring towards the classic, Italian-style Skyrunning race. Then, well then it’s a return to Speedgoat. It’s less than a third the distance of Andorra and probably at least three times as runnable. Nine times as fast then, right? (Actually the ratio of winners’ times is closer to a multiple of six). I have absolutely nothing against this race personally, I’m sure it’s great, but I have to say I was surprised to see it back in the ISF’s line-up after last-year’s debacle of American vs Euro versions of the "right way" to go up and down hills and the general feedback of this being very much a trail-runner’s race, rather than a mountain-runner’s race. To finish up the ULTRA series, Sky ultra runners will then head to the final in Vail, Colorado. Now this is a new course, so we can’t rant on about UROC being a long, fast trail race as we don’t know exactly what’s in store with next year's route changes. However, although the profile's looking a bit more jagged, I’d hazard a guess that the format will remain very much traily rather than mountainy. So overall we start off with more classic Sky-style ultra races and finish up with traily ultra races. I guess if we look back at this year then we’re not that far off a repeat format. The 2012 series finished with the French classic les Templiers, which is basically the definition of trail running. It sits at the opposite end of the spectrum of off-road running to the origins of Skyrunning. Mountains and altitude aren't part of the vocab. Yes the Templiers has climb in it, but like Speedgoat and (probably) UROC, it’s more about a culmination of many small undulations than ascending mega mountains. The ISF have deviated from the roots of Skyrunning, but this is part of the sport evolving and trying to follow the general, global (French, American...) trends. I think one of the main problems the ISF probably has is that it's simply not possible to internationalise a format of racing which basically doesn't really exist outside of Italy. I'm not aware of any country other than Italy where we can race across such exposed, technical terrain. In Italy this format is abundant, elsewhere it's non-existent. To really globalise the original concept of Skyrunning you'd just have to create new courses in new countries. This year, 2012, I made the Sky Ultra series one of my season's objectives. After my participations in Transvulcania (2nd), Kima (4th) and les Templiers (3rd) I finally classed 2nd overall, behind Kilian Jornet. On paper I was chuffed with this result, but to be frankly honest, there really wasn't much competition at all amongst the elite runners. Each individual race mustered up competitive enough fields, but if we look at the final standings, only three men (and four women) completed enough races to properly classify for the overall. There's no hiding that there's some truth in the press statement released by the organisers of les Templiers last week, that they wouldn't be applying to partake in the 2013 series due to a lack of credibility in such an uncompetitive series. As I said, only three of the top runners completed the necessary number (3) of races this year, and it was those three (Kilian, Philipp Reiter and myself) that hence made up the final podium. Fabien Antolinos, who won the Templiers, only ran this one event, and yet he finished 9th overall in the series. Why is this then? I think there are two main reasons: Firstly ISF Sky ultra running is new to the scene and secondly, it's simply not easy to be physically fit enough to be repeatably competitive at ultra distance trail and mountain running right through the duration of the year. So, for the reasons above, and an eagerness to run a little faster over rough mountains, in highly competitive races, in 2013 I'll be mixing up my French trail and mountain running with another crack at the ISF SKY series. In terms of the ULTRA, whilst I'm slightly doubtful as to the mixing of such different races under one series and as to how many people this will appeal to and more so how many will actually complete the necessary number of races, I do hope that I'm proved wrong. I hope that the ULTRA series really kicks off into something big, that it will appeal to long-distance runners of all abilities all around the world, that it goes properly global. Real mountain running should be the authority in off-road running. It needs to hold its ground and not be tamed like football-field cross-country racing or the wmra's version of three-laps-of-the-park "mountain running". 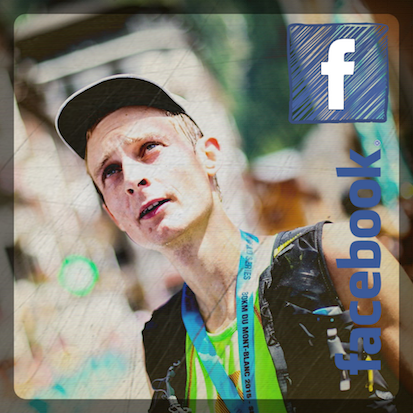 Some detailed and comprehensive comments from an experienced, elite runner, Andy. Many thanks and anyone involved should sit up and take note. As an outsider with no detailed knowledge of many of the races I could never claim to give any expert opinion. But as far as I can see, this new ISF calendar is a mess, with no coherence. I trust that the individual races will still attract the elite in reasonable depth, but I cant see much interest in the series. Hope im proved wrong.